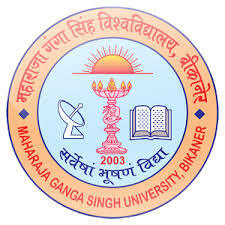 Maharaja Ganga Singh University (MGSU, Hindi: महाराजा गंगा सिंह विश्वविधालय), formerly University of Bikaner (UOB, Hindi: बीकानेर विश्वविधालय), is a university located in Bikaner in the state of Rajasthan, India. The university was established in 2003 and marks an important milestone in the evolution of tertiary education in Rajasthan. The University of Bikaner strives through teaching and research to achieve a better understanding of the unique issues affecting the local region.